Volunteers from ICI’s Washington-based staff saw these transformations occur while leading students through financial literacy training at two Finance Park facilities, on February 6 and March 1. Through its educational affiliate, the ICI Education Foundation (ICIEF), ICI has partnered with Junior Achievement (JA) to support JA’s unique financial education program since 2010, when the group opened its first DC-area Finance Park facility, in Fairfax County, Virginia. JA opened a second area location, in Prince George’s County, Maryland, in 2015. 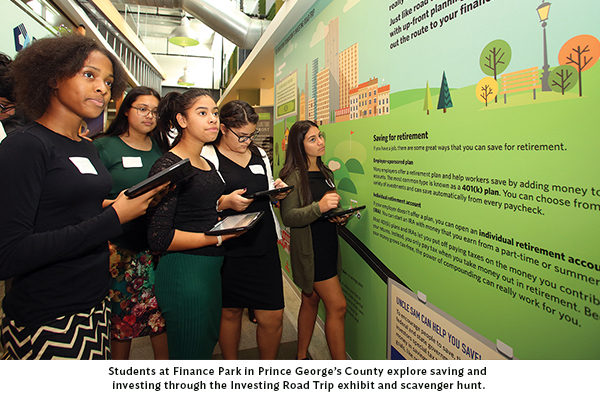 This fall, ICIEF updated its offering to the JA program with the “Investing Road Trip,” an exhibit and accompanying “scavenger hunt” that supplements the DC-area Finance Parks’ budget simulation. For many students, this is their first look at key investing concepts—such as compound returns, diversification, and different types of risk—that will one day help them save for their financial futures. 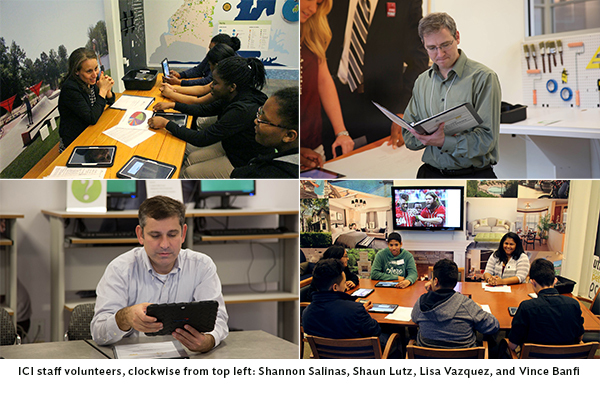 While ICIEF’s new exhibit has further deepened its partnership with Junior Achievement, the ICI staff volunteer days added a new dimension to the Institute’s overall relationship with JA and Finance Park. 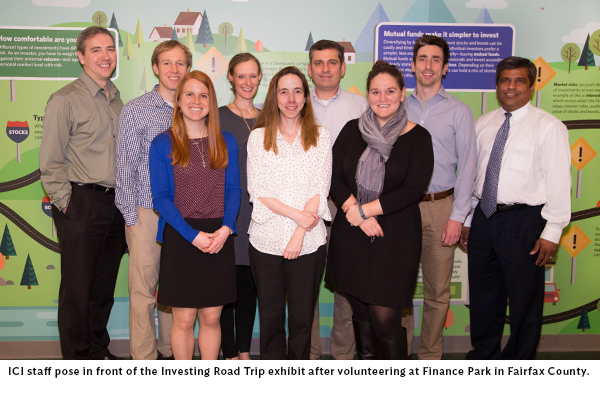 The volunteers enjoyed the day as a fun bonding exercise, and their time at Finance Park provided a meaningful way to contribute to financial literacy—an area that is particularly important to the Institute and its staff. No matter their role, ICI staff members are always focused on advancing the interests of funds and their shareholders. The opportunity to volunteer at Finance Park—reaching out to the next generation of investors and future fund shareholders—is a fitting extension of this work. This is why financial literacy is key. To be successful, each of us must understand the importance of understanding finances, living within our means, starting to save for retirement as early as possible, and planning for the inevitable bumps along the way. The skills students learned in Finance Park may not be tested for years, but their experience gives them a taste of what’s to come—and a first look at investing.